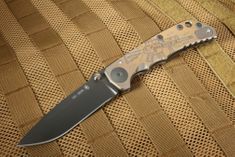 The Spartan Harsey Folder is a tactical folding knife designed by Bill Harsey and made by Spartan Blades U.S.A. 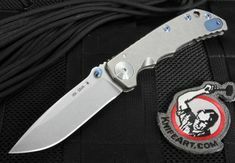 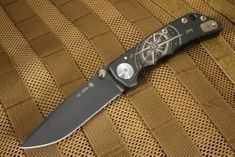 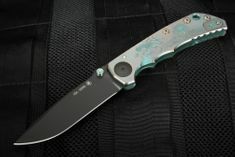 The Harsey Folder was designed to be a heavy use tactical folding knife. 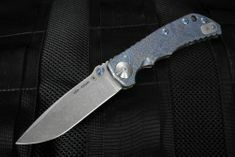 The Spartan Harsey Folder has a titanium pocket clip that can be mounted for right or left pocket carry. 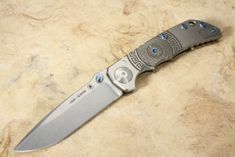 The blade features dual titanium thumb studs so that the knife can easily be opened with the right or left hand. 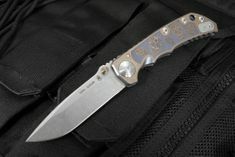 With a 4" stainless CPM S35VN steel blade, this Harsey Folder can tackle anything that you throw at it. 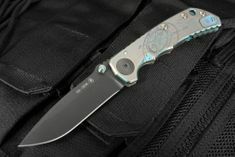 The handle is constructed of solid titanium with a frame lock design. 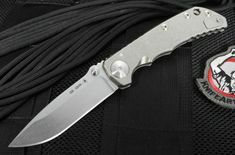 Integral lanyard hole in the handle. 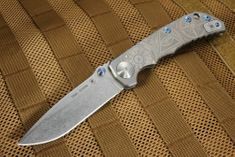 Jimping on the thumb rest of the blade spine and the handle spine ensure positive traction and a secure grip.